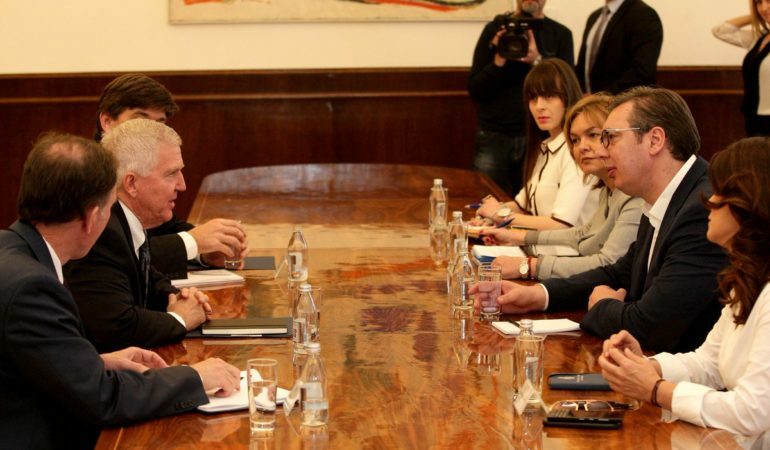 Newsletter for 4/9/2019: US Ambassador to Serbia Meets President Vucic, Urges Kosovo-Serbia Dialogue to Continue. Parliament Stormers in N. Macedonia Seek Presidential Pardon. Serb Member of Presidency in BiH Dodik Causes Furor After “Redrawing” Border. Newsletter for 4/3/2019: Serbia Hires Lobbying Firm in Washington, DC For Regional Issues Including Kosovo. Zaev and Tsipras Take Selfie on Greek PMs First Trip to North Macedonia.